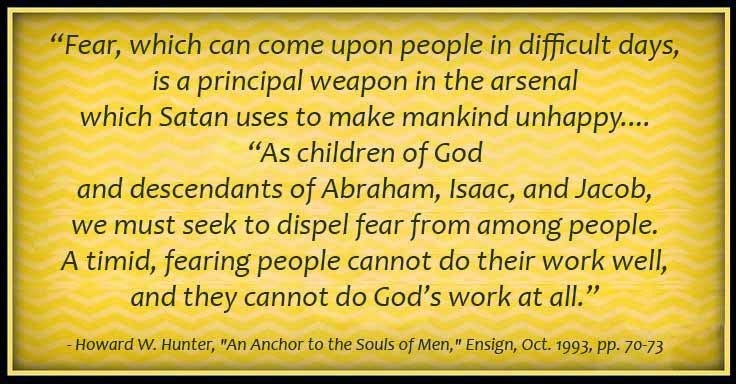 "Fear, which can come upon people in difficult days, is a principal weapon in the arsenal which Satan uses to make mankind unhappy. He who fears loses strength for the combat of life in the fight against evil. Therefore the power of the evil one always tries to generate fear in human hearts. In every age and in every era, mankind has faced fear. "As children of God and descendants of Abraham, Isaac, and Jacob, we must seek to dispel fear from among people. A timid, fearing people cannot do their work well, and they cannot do God's work at all. The Latter-day Saints have a divinely assigned mission to fulfill which simply must not be dissipated in fear and anxiety." In the classic Book of Mormon passage Pres. 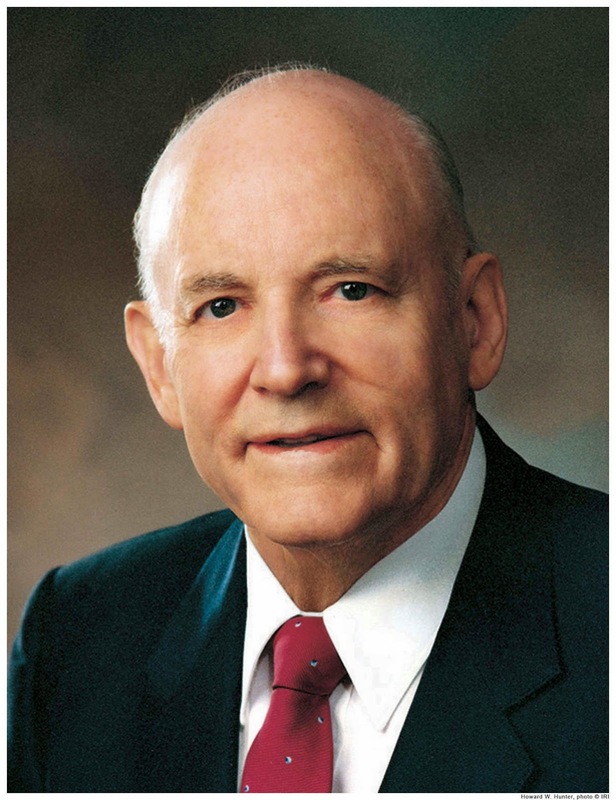 Hunter references, Nephi encourages us to be filled, not just with hope, but with "a perfect brightness of hope." What a vivid description! And what a challenge that can be in the midst of the trials and challenges of life. I love Pres. Hunter's elaboration. We don't achieve that kind of deep-souled calmness and assurance just by superficial means. It comes only when "our faith and hope are anchored in Christ, in his teachings, commandments, and promises." Labels: Christ, faith, fear, hope, Hunter Howard W.